I am not much into drinking alcohol. Matter of fact, over the course of my 69 years, I probably haven't consumed more than about 20 ounces. And most of that was when I was quiet small and my daddy put a can of beer in my hand. They had a good laugh as I got drunk and eventually fell off my rocking horse and hit the floor. I actually like Welch's sparkling grape juice, either red or white, more than any alcoholic beverage that I have ever consumed. 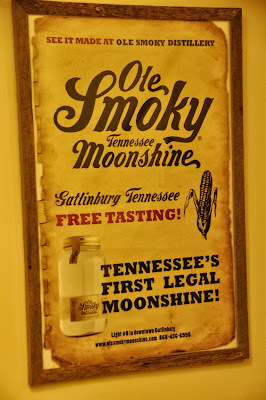 But a visit to Gatlinburg, TN last week gave me an opportunity to swig a little free moonshine, although I was quite hesitant. The reason being that I read that back during the Prohibition Days, makers of the product sort of laced it with antifreeze, which ended up killing some people. But alas, there were so many people bellying up to the bar for the stuff and I didn't want to hang around, so I just decided to take a few pictures. The place was the Ole Smoky Moonshine Distillery. 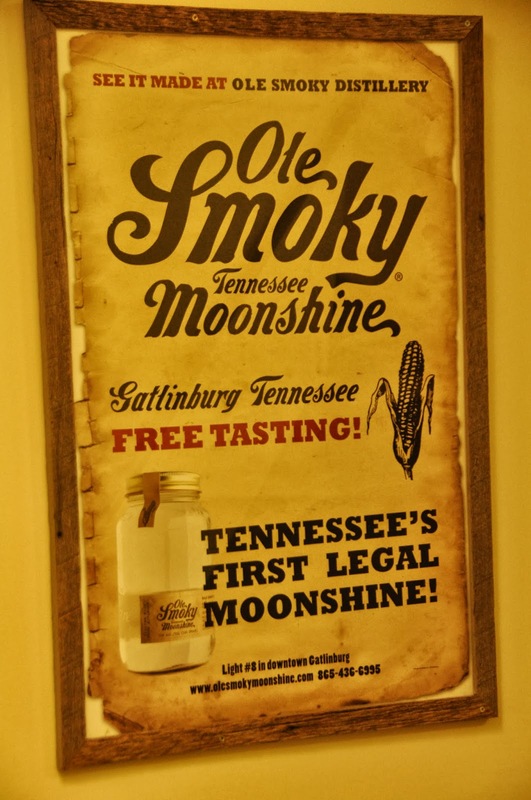 It is in downtown Gatlinburg and is the first legal distillery in the state. Our visit to the business was on the last night of our stay and we wanted to get out and find some bluegrass entertainment. Well, we found it there. 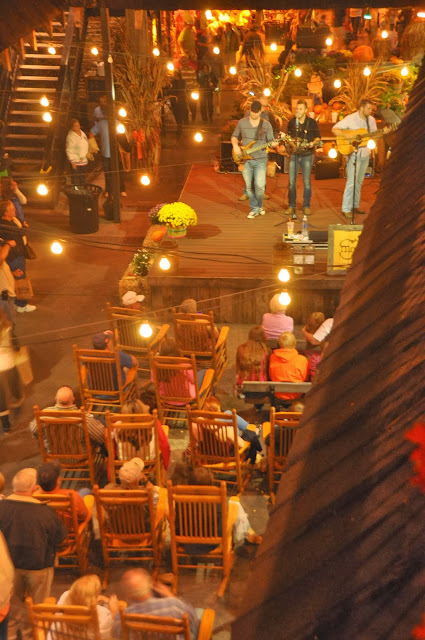 There were a goodly amount of rocking chairs in place for people to sit and enjoy the music. But when one person got up to leave, it was like vultures seeking out the recently vacated seat. For more than an hour, wifey and I sat and listened to the band and thoroughly enjoyed our last night of that particular visit. And I really didn't miss not having a taste of that mountain brew at all. Maybe I will find time next visit. We left the following day, wrapping up our third visit to the area this year.